Picture the quiet surf of the turquoise sea lapping at your bare feet. Imagine a soft breeze gliding along the silky white sand. While you find yourself drifting into beachy daydreams, let me tell you more about Florida’s Emerald Coast! The sugary sand of Henderson Beach State Park will have you feeling as if you’re in Gulf Coast paradise. 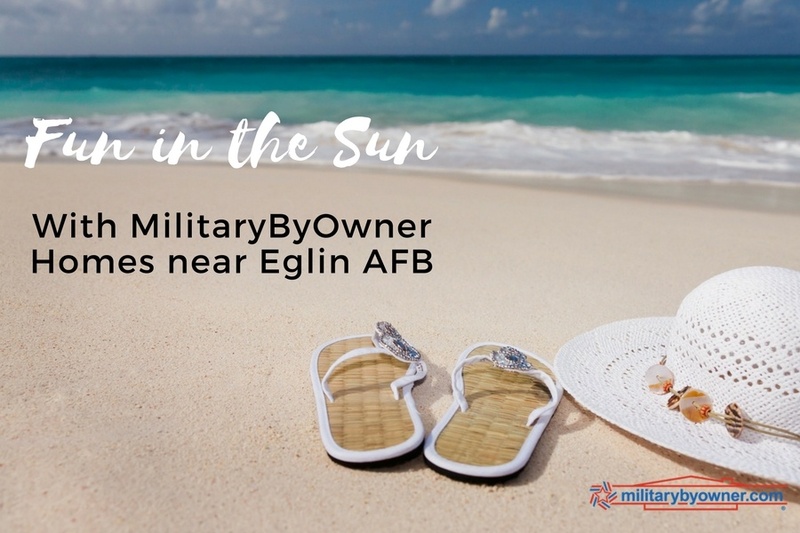 From nearby Destin, Florida, Eglin Air Force Base is only 13 miles away. This popular military installation edges the bay and bayou waters of the Florida panhandle. With plenty to see and do in the Eglin area, military families who have been stationed at Eglin recommend the family-friendly communities of Niceville and Crestview. 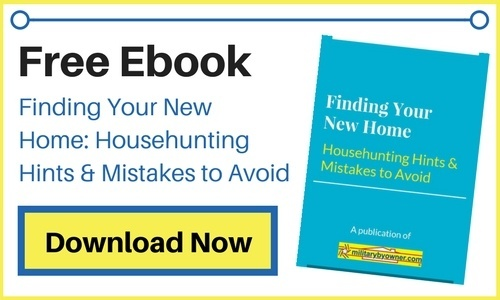 Let’s take a look at a dynamic duo of Sunshine State properties listed on MilitaryByOwner. From Eglin AFB, follow the curve of the parkway for about 13 miles and you’ll sail into the Bluewater Bay neighborhood of Niceville, Florida and this Turnberry Cove estate. 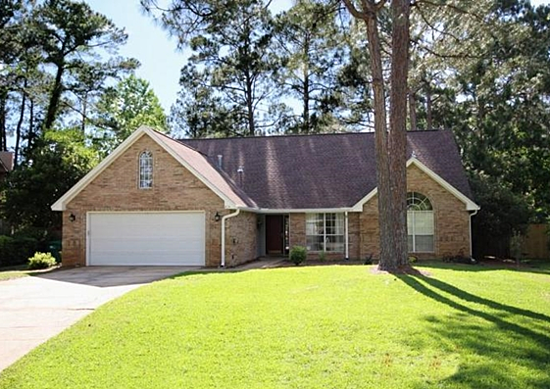 The lush green lawn of this oversized lot adds to its alluring curb appeal. As soon as you walk in the door of this welcoming home, you’ll be charmed by the spacious layout of over 3,000 square feet. With bedrooms both upstairs and on the main level, this 4-bedroom, 3-bath dwelling has plenty of room for family and friends to visit and linger awhile. Deck the halls with a tall Christmas tree. Hang a “welcome home” banner at the end of a deployment countdown. Float balloons and streamers for a special birthday. The sky is the limit with your creativity and the soaring ceiling of this multi-purpose family room. Delightful windows flank the cozy fireplace. 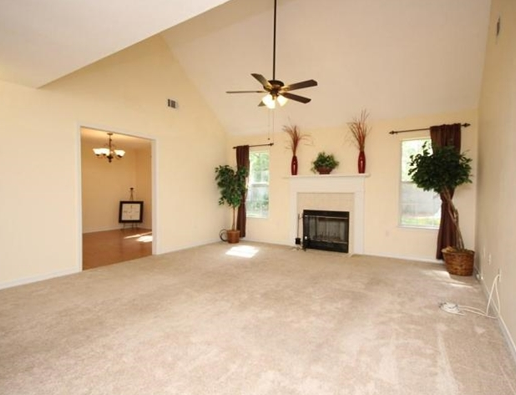 Plush carpet adds to this comfortable gathering space. With ease of access to both the kitchen and dining, you’ll spend quality time with your dear ones in this wing of the house. 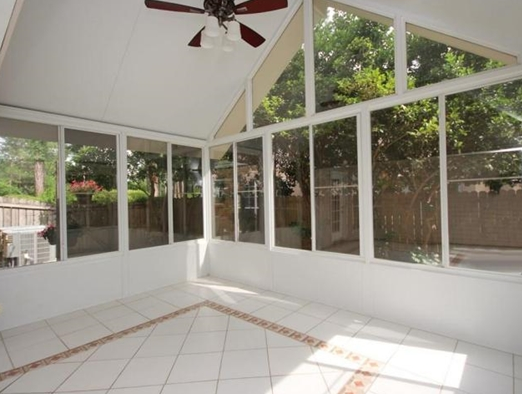 A unique characteristic of many homes in the Sunshine State is a “Florida room.” Filled with cheerful sunlight, this indoor patio space offers fantastic views of the premium landscaping from stunning windows. Easy-care tile flooring means clean up is a breeze when the kiddos come in from playing in the generous tree-lined backyard. Move right in, and you’ll soon feel at home at this lovely Bluewater Bay address. As if following the bends of the Yellow River nearby, we head around 25 miles North from Eglin AFB to Crestview, Florida. There in the Lee Farms neighborhood, we find a remarkable residence on Hagood Loop. Verdant landscaping edges the gentle curve of the front walk. The covered front porch offers all the grace of a Southern greeting tucked here in the Northwest Florida panhandle. 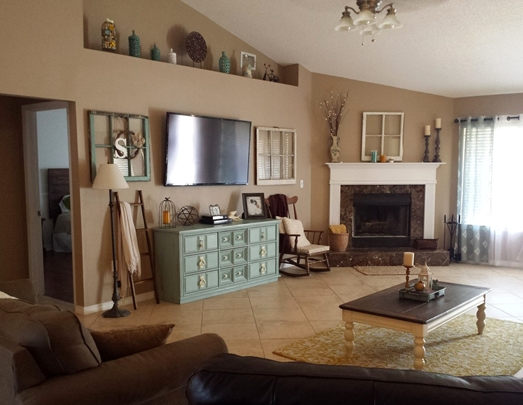 “Come on in!” to this 4-bedroom, 2-bath villa with an inviting open layout. After a long day at work, relax and unwind in the comforts of this pleasing family room. Bide a little time by the marvelous marble fireplace. Gather with friends and family to play games, watch movies, or simply chat. With its custom architectural details and sun-filled windows, savor the comforts of home in this welcoming space. 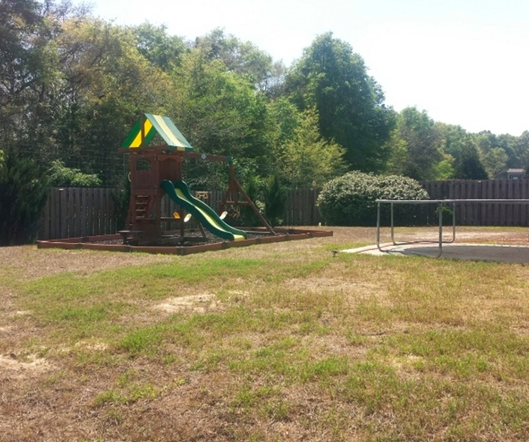 In this military-friendly neighborhood, your address will become a favorite with the premium playground set and expansive green space. This back patch is perfect for weekend barbecues, water balloon fights, and starry nights around a sociable fire pit. 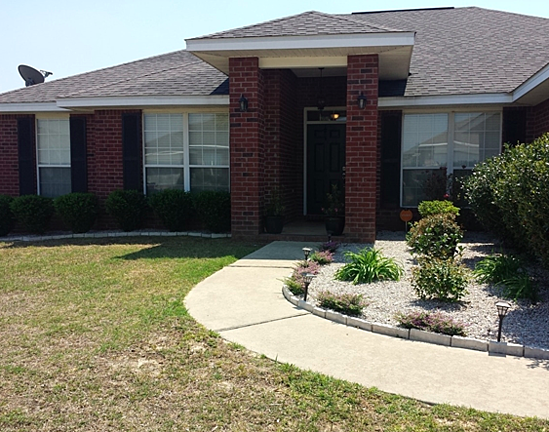 You and yours will make good memories at this Lee Farms home. While these homes are no longer listed, it's worth your while to look at listings on MilitaryByOwner in the communities such as Niceville and Crestview. With picture-perfect properties like these, you’ll be living the dream of fun in the Florida sun!